iPhone 6 Arm Band Case Cover Protector Just $9.99 Down From $39.99! You are here: Home / Great Deals / iPhone 6 Arm Band Case Cover Protector Just $9.99 Down From $39.99! Save yourself from the stress of holding onto your phone while working out and get the iPhone 6 Arm Band Case Cover Protector for just $9.99 down from $39.99 on Amazon! Get yours now before this great price is gone! 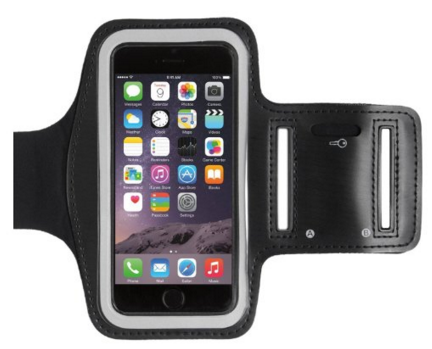 If you love working out, than this iPhone 6 armband strap is a must for you and your workout sessions. Made with an adjustable Velcro band and a full screen protector for an unmatched experience and even a small pocket for keeping your keys or small change. Play music, listen to calls and a lot more with complete functionality while you exercise and workout. Very lightweight. Made of neoprene material for superb experience while biking, jogging, running or even working out in the gym.